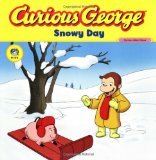 In this attached audio recording, I am reading a children’s book, Curious George, Snowy Day. The purpose of reading this book is to help English as Second Language Learners to read books to their children in English. If you have this book, feel free to follow along. Maybe you can not read as fast as I can. Can you follow all the words at the speed I read them? Which words or sentences are easier to follow? Can you understand my accent? If you do have the book, try listening to the recording without the book. Which parts are easier to understand with the book? With or without the book, simply listening to the recording can be helpful too. Listen to how I deliver the story. Listen for my speed, accent, and feeling. Often books are read to children with some emotions, such as happiness, suspense, surprise, sadness to show feelings or emotions. In your culture if you read books in your native language to children, would you show emotions while reading? If you would like to read books to your children in English as your second language, but you want to see how others do this, that is possible! Take a trip to your local library. Ask them about ‘story time for children’. Often many libraries may hold story time a few times a week to adapt to different schedules. For stay-at-home moms (parents, dads) or parents who work night shift, going to the library during the work week in the day time may be convenient. Ask about daytime hours for story time. Some libraries open on Saturdays or Sundays may do story time on a weekend morning. This may be another option if a weekend day is more convenient for you. Generally these activities are free of charge and open to the public. - Practice American English Listening skills. Listen to how the story teller tells the story- does the speed or accent or emotions vary throughout the story. Listen to the conversations of the children and parents. 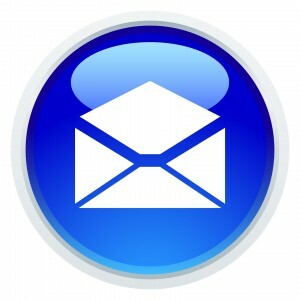 -Practice American English Speaking skills. Speak to your child’s friends and parents in English. Make new friends! - Practice American English Reading Skills. If you can acquire a book of the story to be read that day, see if you can follow along. Read the book while the story is being told. How is that experience? Reading to children in English is a good and admirable task, especially if English is not your native language. It may feel difficult or challenging at first, but keep trying! You can do it! Your children will appreciate you and can even learn English along with you! Learning a new language at any age can be challenging, but learning it along with your children can reap even more rewards! Enjoy reading and learning American English! Jennifer Kumar is a cross-cultural teacher, trainer and lifestyle adjustment mentor helping people adjust to American and global lifestyles through a variety of methods, including Indian cooking classes. She was educated in India as a social worker and in America as a life coach. Feel free to see her website - Authentic Journeys - Lifestyle and Cultural Transition Services. What is a midnight snack? Thank you for stopping by and Hope to hear from you!! If you would like to meet me for English as a Second Language one on one tutoring in the Rochester area, give me a call! 585-387-9325.